Innovative Power Products: Home | News | IPP-2331 and IPP-2332: New Smaller Drop-In 90 Degree Couplers 100 to 520 MHz. IPP-2331 and IPP-2332: New Smaller Drop-In 90 Degree Couplers 100 to 520 MHz. 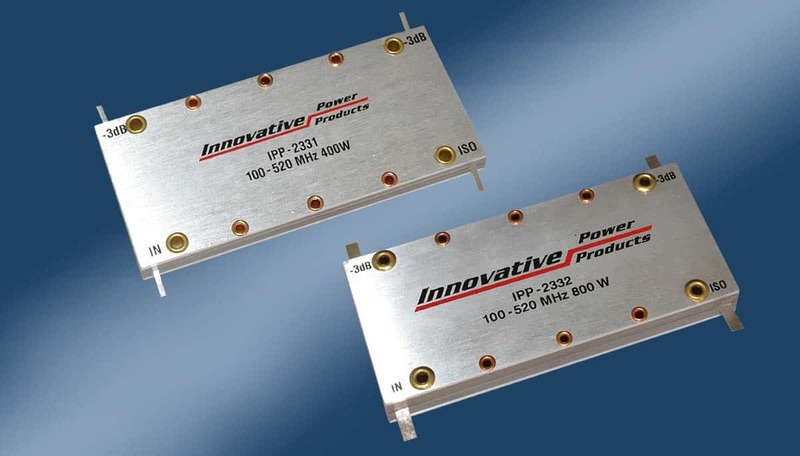 Innovative Power Products introduces their new Models IPP-2331 and IPP-2332 which operate from 100 – 520 MHz. and handle 400 Watts and 800 Watts respectively. IPP also offers other 90 Degree Couplers, Combiners and Dual Directional Couplers for 100 – 500 MHz. and 100 – 520 MHz. Bands. Innovative Power Products is a designer and manufacturer for applications in the RF and Microwave industries, and offers a variety of broadband, high power couplers, combiners, RF power resistors and terminations operating from 1 MHz. up to 12 GHz. Our RF Resistors, Terminations and 90 degree Drop-in Hybrid Couplers are RoHS compliant.